Anchorage is Near the Edge of Nature! Short trips can be great adventures! One week vacations in Anchorage are sufficient when filled with new experiences. Aawesome Retreat B&B, on the hillside overlooking Anchorage, is 20 minutes from the Airport … and becomes your ‘‘Instant Home’’. Guests get right to their full schedules of easy to more challenging Alaskan fun, enjoying the out of doors as well as museums, restaurants, and related cultural activities. Everything is easily accessible! Aawesome Retreat often hosts guests for full, one week adventures. Host Debi tells guests to see Alaska by air, sea, and land. 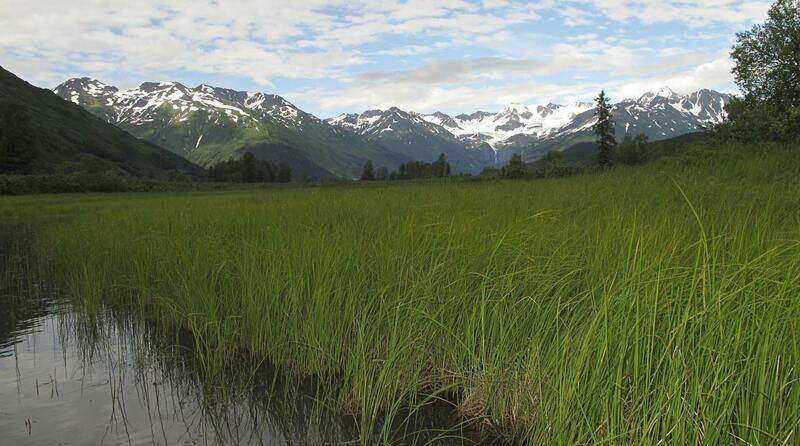 Above all, she promotes Anchorage area’s abundant hiking trails as beautiful and free! Prefer to cover more miles than you could reach by foot? A beautiful scenic drive in many directions can easily fill a couple days en route to scenic destinations. Enjoying added savings and convenience, guests prepare road snacks in our guest kitchen, then head down the water’s edge via the Seward Highway to see a Nature Reserve, glaciers, rivers, mountains galore, and gorgeous panoramic views. A day’s boat cruise is a favorite from Whittier or Seward… reaching either spot depends on an amazing postcard drive. 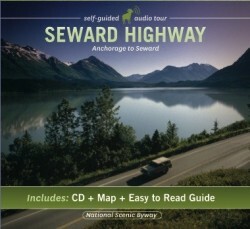 Get the audio guide produced by one of our Travel Partners to note wonderful spots along the way to Seward for activities such as wildlife viewing, glacier hikes, commemoration of history, Alaska facts, and more. Or consider a special treat: a scenic flight where a plane or helicopter can land on a glacier! There are even dog sled rides offered on one mountain top. “We always give our guests a clean jar for clean mountain top snow,’’ says host Debi. At this B&B, even a day at home can be an adventure with a stroll to the pond where moose often swim. Ending the day with a view of the Midnite Sunset over the water will cap your experience and enthuse you for your next day’s adventures. 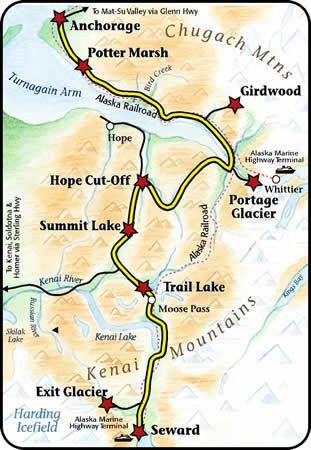 Happiest Alaskan Trails in Your Future!